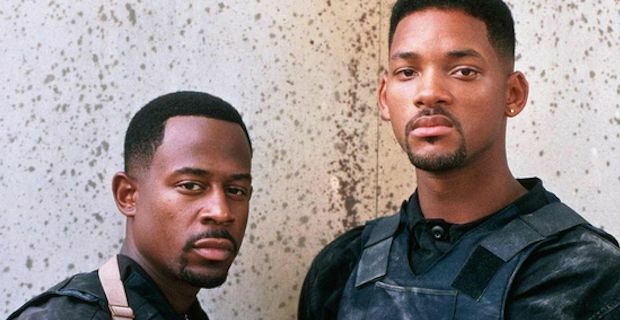 Martin Lawrence has revealed that Bad Boys 3 will happen in the near future and Jerry Bruckheimer is currently overseeing the development of a script. Lawrence was talking about the prospects of an eagerly anticipated sequel on the Conan O'Brien show which airs in the UK tonight on TBS. The first two instalments in the Bad Boys series were both international hits with their fast paced tempo and high octane stunts. The original film marked Will Smith's arrival in the big leagues after he came to our attention on the Fresh Prince of Bel Air. Incredibly, it has already been 11 years since the release of Bad Boys II where Smith and Lawrence continued their on screen bro-ship. O'Brien asked Lawrence straight out whether the long proposed sequel would ever go ahead and Lawrence responded in a wholly positive manner saying "I believe so, yes. I just talked to Jerry Bruckheimer yesterday and he said its real, they’re working on the script, they’re getting close and it all looks good." It seems that the only obstacle to the movie getting shot and wrapped soon is scheduling conflicts. Bruckheimer gave an interview back in April where he spoke a little about the scheduling problems saying "It is so funny because we’ll get Sony real excited to make the movie, and then Will is off doing two movies. And then Will will come back and be real excited about it and Sony will say 'Well, maybe it’s not the time for this'." The first Bad Boys film grossed around £85 million worldwide after being made on a tiny budget of just over £10 million. Bad Boys II then got an injected budget of £35 million and studio bosses were rewarded with a gross of £165 million worldwide. There is no doubt that a third instalment will be a real money spinner for all parties so we can all look forward to more high speed chases and killer one-liners.